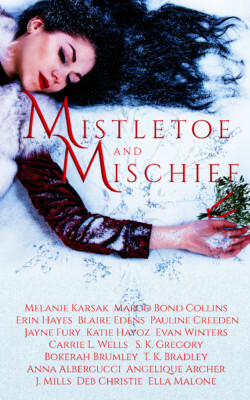 Mistletoe and Mischief: A Collection of Magical Holiday Tales by Melanie Karsak et. al. by Melanie Karsak et. al. Sixteen magical holiday stories from NY Times and USA Today bestsellers and award-winning authors are sure to get you in the holiday spirit. This collection will whisk you from Christmas season in steampunk London to Yule celebrations with the coven to Hanukkah celebrations with a supernatural twist. Battle Krampus, ghosts, vampires, demons, and a hell of an eggnog hangover in this special collection of paranormal, horror, urban fantasy, and steampunk holiday tales.